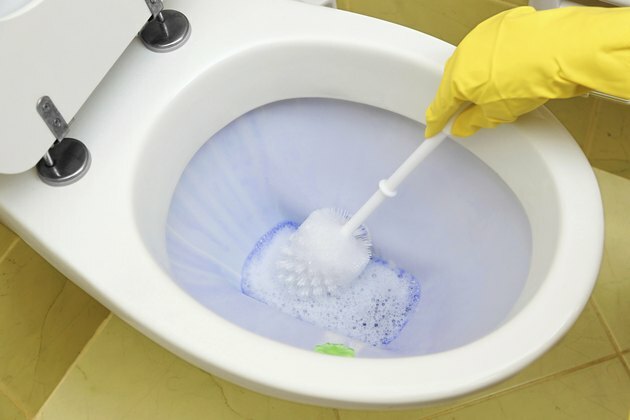 Green or greenish-blue stains on your tubs, sinks, toilets and plumbing fixtures are not only unsightly, but they also indicate a problem that could be very expensive to repair in the long run. If you have acidic water (a pH of less than 7.0), your copper and brass pipes and plumbing fixtures are corroding. The green and greenish-blue stains you see in the bathtub are the result: dissolved copper and brass in your water caused the stains. To remove stains caused by acidic water, use an acidic cleaner. Pour some plain white vinegar on a sponge or cloth, apply it to the stain, then scrub. Vinegar is 5 percent acetic acid. 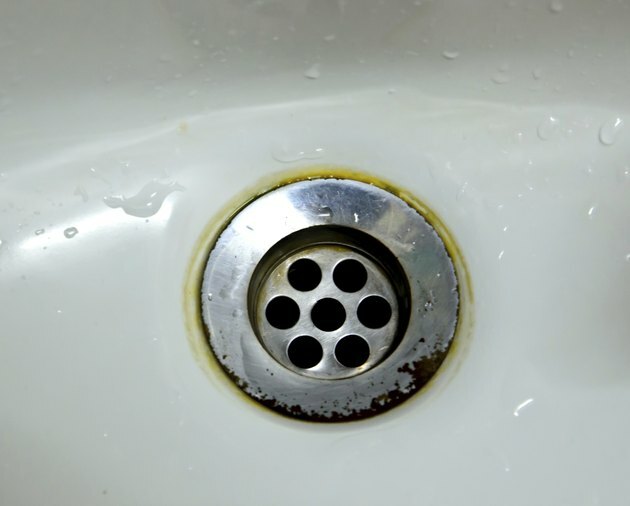 White vinegar might also remove the green stain from your plumbing fixtures. Lemon juice is also an acid; in this case, citric acid. Use it the same way you would use vinegar. Use a mixture of soap suds and ammonia if mild acids do not remove the stain. Apply the mixture, scrub and rinse. A mixture of half water and half ammonia could also work. 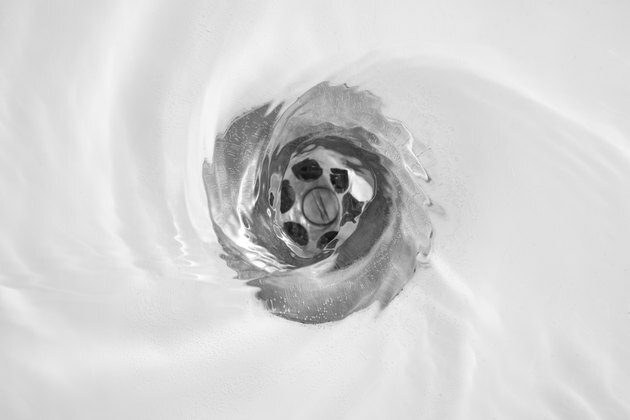 Flush your drains with water after using ammonia cleaners. Use phosphoric acid or oxalic acid on stubborn stains. Dilute the acid by mixing 1 part acid with 10 parts water, and use as you would the cleaners described above. 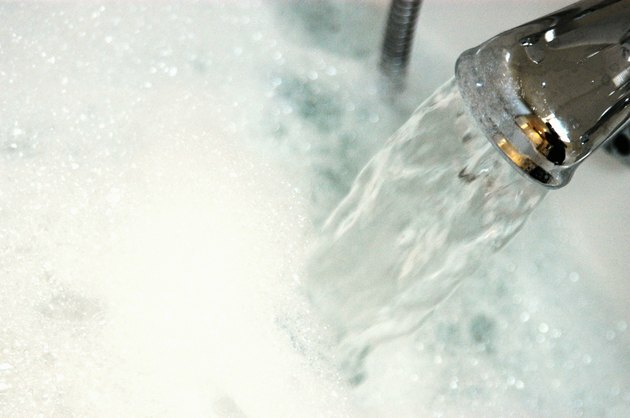 Flush out your drains and pipes with plain water. Many commercial cleaning products also contain these acids. 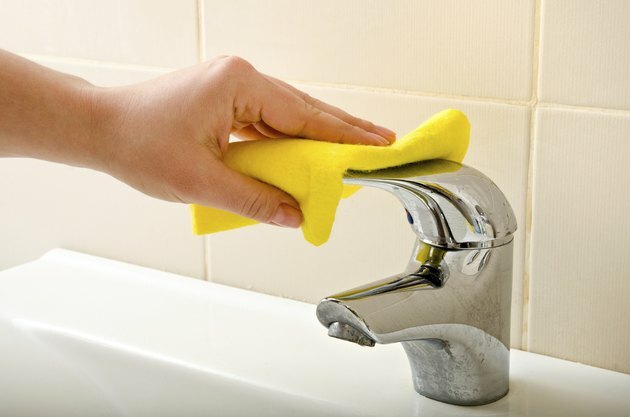 Use hydrochloric and sulfuric acids, again diluting them and flushing out the pipes after cleaning the stains. 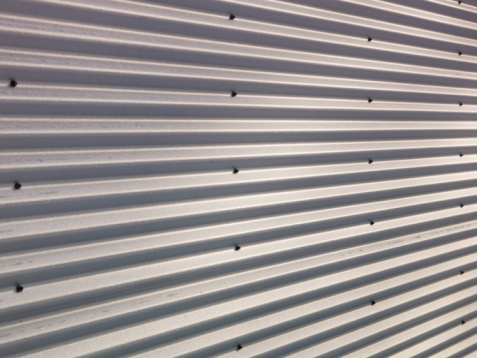 You can buy commercial cleaning products that contain these acids.